No Optional Extras - Save up to A$550! Did you know that most other tour companies sell optional extras to clients while on tour? That policy can cost couples up to A$550 for options such as medieval banquets, dinner/shows, walking tours and more. CIE tour directors do not sell optional tours so that they can focus 100% on your enjoyment and interests. Admission costs are included in the tour price so that you don't waste time paying as you enter each attraction. You’ll be free to enjoy your holiday without daily sales pitches or unexpected additional costs. 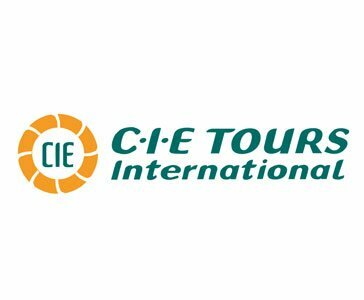 Compare CIE’s tour inclusions with those of other tour companies and check their optional tour costs to understand why we have earned our excellent reputation for quality and value. CIE Tours coach tours include airport transfers, daily sightseeing programs with prepaid admission fees, full breakfasts, table d'hote dinners, medieval banquets and cabarets everything to make your holiday perfect! Most departures are guaranteed - you book, you go! Handpicked Holidays will advise at the time of booking whether your chosen departure is guaranteed. CIE includes complimentary group transfers on the starting and ending date of tours at times specified on each itinerary. 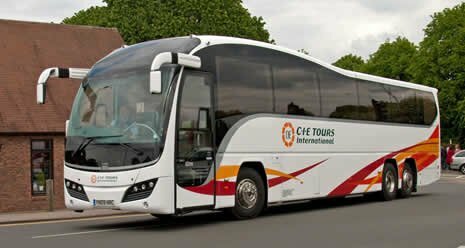 On arrival in Ireland CIE Tours will supply coach tour clients with tour vouchers, maps, ticket wallets, destination information, rain poncho, carry-on backpack, phone cards, VAT tax card, luggage tags and a strap. Self-drive clients receive accommodation vouchers and listings, ticket wallets, luggage tags and a strap. CIE Tours uses a variety of hotels depending on the itinerary. First class hotels feature a dining room, lounge, bar and comfortable rooms with many facilities. Superior first class hotels offer the same amenities with higher standards and many have leisure and spa facilities. Deluxe hotels offer luxurious features and are often in unique settings. CIE hotels typically are found in central locations or scenic regions and are shown in the tour information. For a royal experience, choose one of our deluxe tours where you can stay in 5-star properties including Ashford Castle or Dromoland Castle. Many other tours stay in 4-star castle hotels such as Clontarf, Cabra or Kilronan Castle, giving you the experience for a more moderate cost. We feature Bunratty, Knappogue or Cardiff Castle Banquets on a number of tours and all itineraries visit plenty of castles throughout Ireland and Britain. CIE's locally-employed tour directors are the envy of the travel industry. From the moment you land in Ireland or Britain, your tour director is there to welcome you, handle your luggage, drive you from place to place and give you a daily commentary. Tour directors make history and culture come alive and create a superb experience with daily doses of humour, information and assistance. All of CIE's tour directors are well trained in the background information of the places and incorporate this history into their narratives in a manner that is fun and easy to digest. CIE has created balanced and varied days of sightseeing with plenty of stops for taking photos, shopping, lunch, snacks and bathrooms. You never travel for longer than two hours without getting off the coach. CIE Tours International offers the widest range of itineraries throughout Ireland, Scotland, England and Wales to suit every budget and holiday duration. All of the tours are carefully planned to permit full enjoyment of your holiday. Travel in the height of comfort with CIE Tours and sit back and let an expert do the driving! CIE's state-of-the-art coaches feature panoramic windows for optimum viewing while reclining seats, individual climate controls and a public address system ensure your well-being. Once you meet your tour director, you don't have to handle your luggage! At every hotel your suitcase is delivered to your bedroom door and collected on departure. Luggage is restricted to one suitcase and one piece of carry-on baggage per person. Every morning a full cooked breakfast is served in your hotel to get your day off to a good start. In hotels a table d'hote dinner is served. This is a 4-course meal with 2 to 5 choices for each course, followed by tea or coffee. Usually you will have one or two free evenings in Dublin, Killarney, London or Edinburgh where you will find a wide range of restaurants. Lunch stops are at self-service restaurants so that you can choose what you like and save valuable time for sightseeing or in towns where you can find a friendly bar and choose pub grub, casual dishes of many kinds. All of CIE's tours include a number of great evenings to enhance your holiday. You'll sample local foods and enjoy special entertainment. 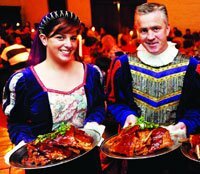 Depending on the tour you choose, you may attend a fun banquet in historic places such as Bunratty, Knappogue or Cardiff Castles. Then there are musical dinner/shows in Dublin or Edinburgh, pub evenings in Killarney, or a Highland ceilidh with great Scottish music in Nairn. These will add great enjoyment to your holiday, and remember, these features are included in the cost of your tour.